Dry skin has always been a problem for me, whether its dry patches on my face or on my body and it tends to flare up more in the winter months. 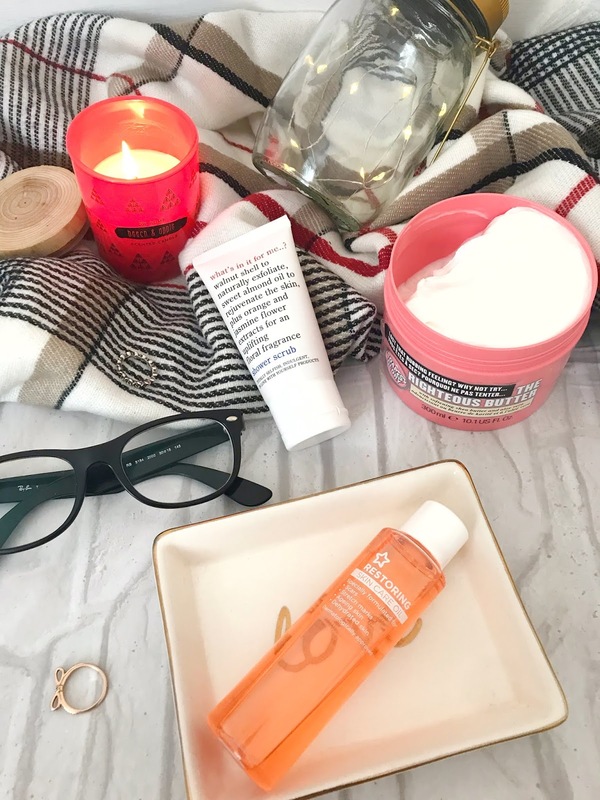 In this post, I have put together my favourite superheroes which have really saved my skin and will also be going in depth to show you their hydrating ingredients. I initially got this oil on a whim, my skin was becoming really dry and I have suffered from scars and a few stretch marks and wanted to see how this product worked out. This oil claims to be formulated to help the appearance of scars, stretch marks, fight the signs of ageing and help with dehydrated skin. I would say for me that these are very reasonable claims and which some of them I can say actually worked for me. Using this product after I had a bath every night for about two weeks I could feel my skin being less dehydrated and soft. I didn't notice too much of a difference in my stretch marks apart from being slightly faded, for more of an effect for stretch marks I will have to be using this product for a few more weeks. Sweet Almond Oil = Sweet Almond Oil contains Vitamin E which helps to keep your cells healthy and helps to protect the skin from UV radiation damage because of the added antioxidants. The added fatty acids from the sweet almond oil also keeps in the skin's moisture. Canola Oil = Rich in Vitamin C, Canola oil helps the texture of the skin and because of the fatty acids, it soothes dry and irritated skin. Soybean Oil = Soybean oil has a high concentration of vitamin E, essential fatty acids and lecithin with these components combined Soybean Oil gives strong antioxidant protection which protects the skin from any environmental factors. I've had this body cream for such a long time and have been using it on and off for years but use it a lot more in the colder months as it really helps to keep the moisture in. This product is perfect to use after a bath to rehydrate the skin and because of the added bergamot and mandarin, this body butter helps to relax the body which it definitely does. I usually use this cream after a long stressful day and I've had a nice hot bat to really wind down before bed. Shea Butter = Contains Vitamins A and E which helps to keep your skin at its optimum health and protects the skin from UV radiations. Has moisturising and anti-inflammatory properties which are perfect for any eczema sufferers. Cocoa Seed Butter = Natural oil extracted from the cocoa bean, Coca seed butter is perfect for naturally healing dry skin such as sensitive skin. Cocoa butter is an emollient which means that it adds a protective hydrating layer to the skin. Coconut Oil = Coconut oil is a very natural antibacterial and antifungal. This oil penetrates the skin better than other oils making it a faster way to moisturise and hydrate the skin on the face and the body. I got this scrub back in my July Birchbox and it was just in time for my holiday. I took this scrub away with me because of how my skin gets when I tan, it just dries up and flakes off (not pretty). This scrub helped to remove any dead skin cells making my skin look and feel extra smooth. I've also been using this scrub a lot in the colder months as its also really hydrating and soothing. This scrub also has an amazing uplifting floral scent. Jasmin Flower Extract = Jasmin flower has high levels of antioxidants which helps to protect the skin from environmental factors. Jasmin is also non-irritating and non-sensitizing making it perfect for anyone who suffers from sensitive or dry skin. 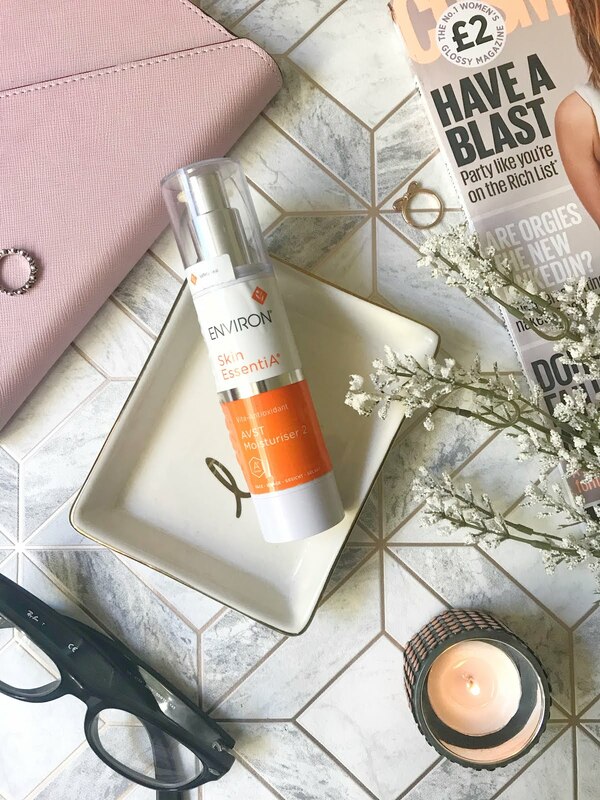 Orange Extract = Orange has a lot of anti-ageing properties because it has high levels of Vitamin E. Vitamin A is also rich in antioxidants which helps to fight off fine lines and wrinkles. Pecan Powder = Pecans are rich in nutrients like zinc, Vitamin A and E which play a key part in maintaining the skins natural health. Helps with keeping breakouts at bay because of the zinc and vitamin A which are antioxidants which give a clear complexion. Moving onto the facial products, my skin is predominantly oily but on occasions when the weather is particularly cold my skin has dry spells and this mask has really helped to improve the texture of my skin and also improved the hydration of my skin. I apply a thin layer of this mask after my moisturiser before bed and wake up with smooth and soft skin. Pomegranate Fruit Extract = Pomegranates are rich in antioxidants and Vitamin C which neutralises the effects of free radicals, it also very anti-ageing because it helps to stimulate skin cells which helps to keep ageing skin at bay. Sunflower Seed Oil = Sunflower Seed Oil is rich in nutrients and antioxidants, it's also perfect to use on sensitive, acne and eczema skin because it's very anti-inflammatory. Sunflower seed oil is also high in Vitamins a, c and d making it perfect for problematic skins. Kaolin = Kaolin is very detoxifying but also very gentle making it perfect for sensitive skins. Helps to also remove excess oil and toxins without over-drying the skin. 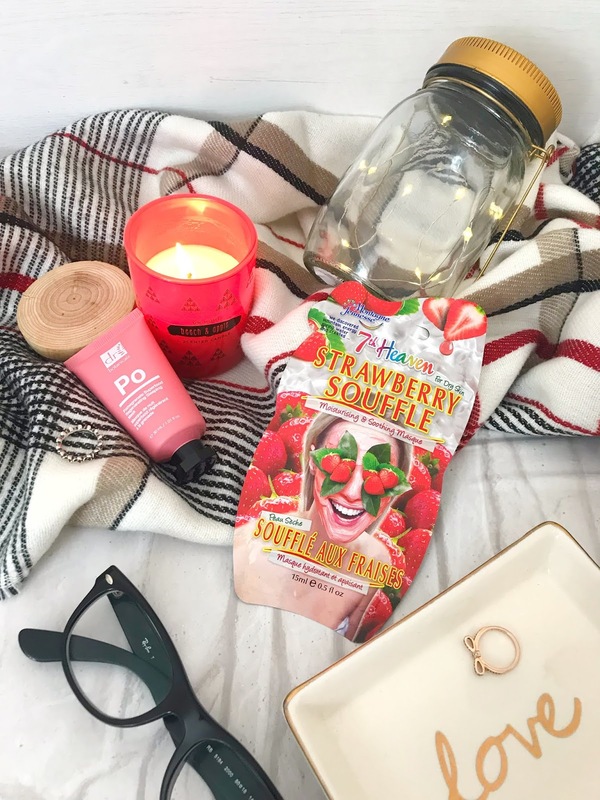 I have tried numerous 7th Heaven face masks in the past which you can read about in my Favourite 7th Heaven Montagne Jeunesse Products Post. After that post, I found this mask that I have been loving recently which I brought about 5 more packets of after using it. I found this mask made my skin feel amazing after and soft after using it. I tend to use this mask once or twice a week to really feel the moisturising benefits. Strawberry Extract = Strawberries are very rich in Vitamin C making them perfect for fighting oily skin as well as revitalize and nourish the skin. Strawberries are also very acidic meaning they can remove excess sebum and the strawberry juice can lighten blemish scars. Vanilla Extract = Vanilla had very high anti-inflammatory properties, which calm and soothe irritated skin. Vanilla is also very anti-bacterial which helps to keep problematic skin at bay. Aloe Vera = Aloe vera has many benefits for the skin some including its extra moisturising, has amazing healing properties and has anti ageing properties to keep the fine line and wrinkles away. 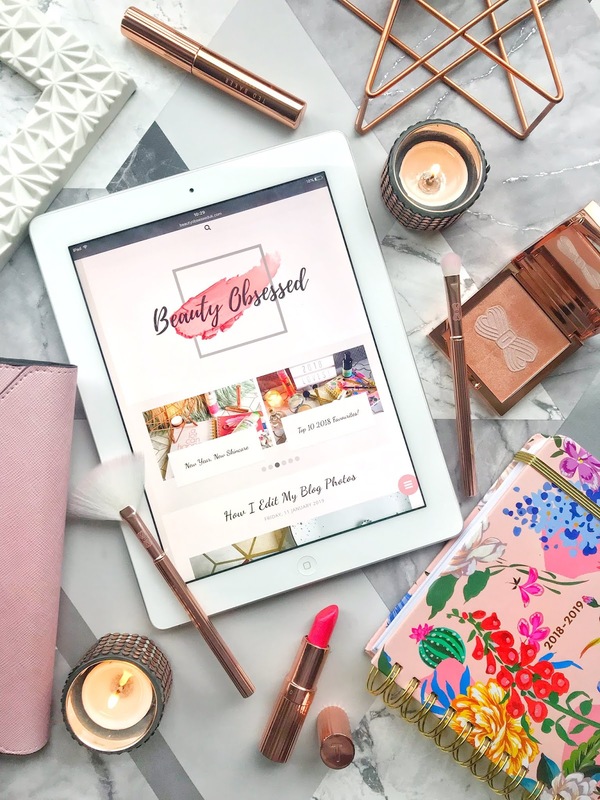 During the colder months, I always feel that my skin gets drier and less hydrated with these products they have really saved the day! 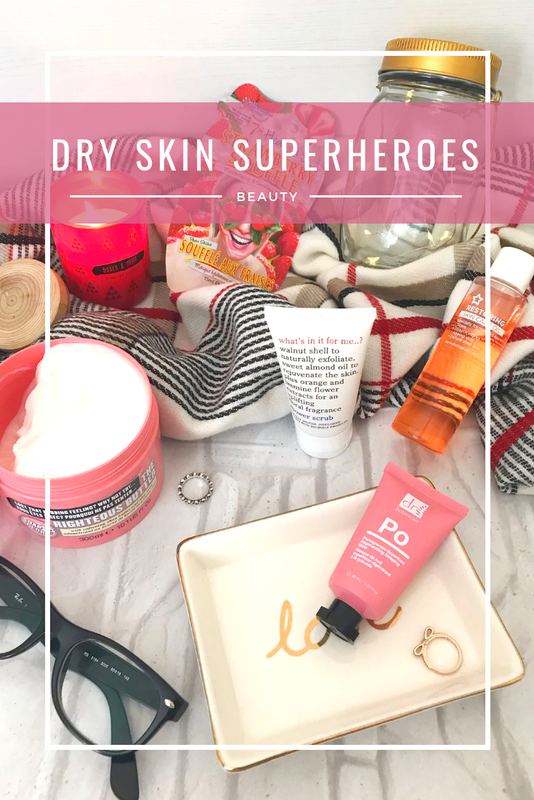 What are your dry skin superheroes? Ah this post is exactly what I needed. 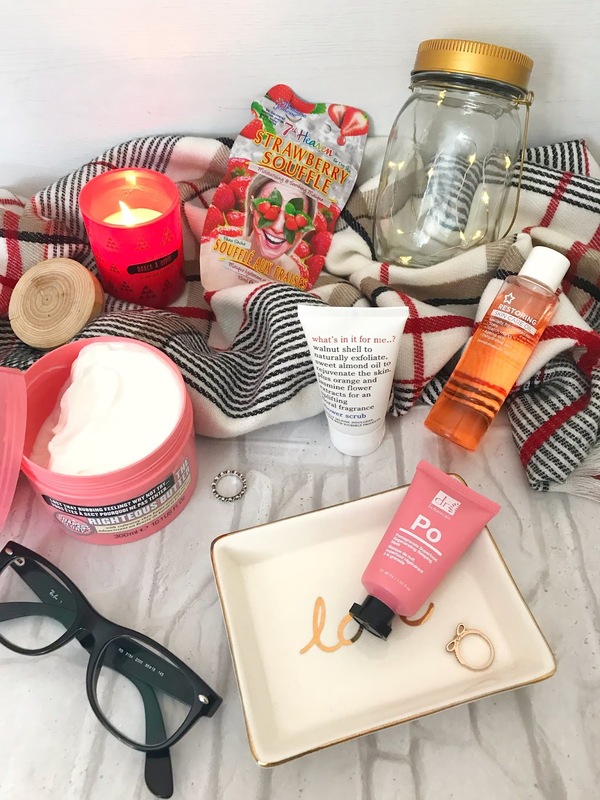 I have some great fail safes for dry skin including The Body Shop's Vitamin E range but I love the sounds of some of these especially the oil from Superdrug. And that sleeping mask sounds great; i might have to give them a go! My skin is so dry right now! It is so bad, it really needs some care! That face mask sounds amazing! And so does the body cream! Thanks for sharing this! I really suffer with dry skin in the winter too so I'll be checking some of these out, so helpful! I am loving the oils you're using for skincare. They're filled with so much nutrients and a drop goes a long way. I haven't tried dry shampoo before but need to check it out. I'm always a fan of pomegranate masks. Thanks for sharing!